The CIES (Centre for Sports Studies) Football Observatory, a joint venture between FIFA, University of Neuchatel and the City of Neuchatel in Switzerland, published a report on the European football's most expensive players in the 2014 summer transfer season. The CIES has detailed knowledge of all player transfers that take place in Europe's top five leagues. Some of the criteria used for the report were: age, contract length, position, performance, international experience etc. The figures are given in ranges (£m) - as you can see below. 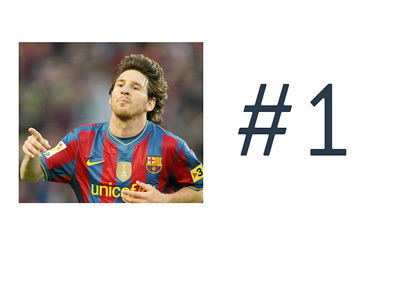 Messi, aka D10, is by far the most valuable player in the world. The twenty six year old Argentinian forward is a true international superstar. It will be interesting to see if any new players break out during the Brazil World Cup.